I spotted this picture of Chrissy Teigen online, and was inspired by her look. She was wearing it at LAX Airport. Now I won’t be hopping on a plane anytime soon, since I’m heading back to work next week, teaching vocal classes and songwriting lessons. The outfit she wore looks like a great outfit to wear on those days between summer and fall, and perfect for a day of work or maybe even school. 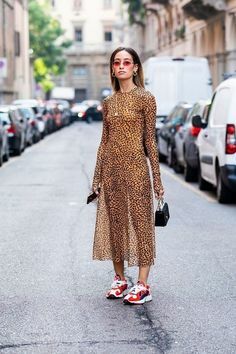 So I tracked down the designer items she was wearing, and made a look that’s a lot more affordable and accessible. So are you guys back to school or work yet? 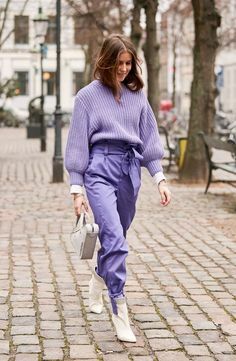 Would you wear this look? A little bit of inspiration. Love the color combination, the bikerjacket probably costs more than two months rent, but a girl can dream right? I’m a big fan of these strappy heels, but I’m afraid I’m never gonna be able to wear them, without pain of calling flat on my face;) So the Adidas Yeezy sneakers are kinda more my thing. Are you a heels or sneaker lover? Summer is almost here and that means festival fever! In my daily life I’m a singer/songwriter and there’s nothing I love more then combining my two great loves; music & fashion. I love dressing up, and am a bit of a chameleon when it comes to my stage style. I’ve selected a few of my favorite items from Zalando. Have a look!